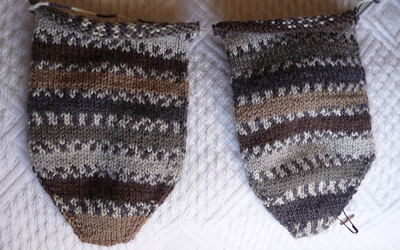 Learn to knit socks two at a time - with patient and experienced teacher Frances Earnshaw. A four week course run at The Workshop in Heptonstall. You will need to bring a 2.25mm circular needle and a ball of lovely sock yarn! You can purchase these from Ribbon Circus in Hebden Bridge.